How to solve common issues of escalator handrails? Escalator is a fixed electrical drive with a circular movement step used to tilt passengers upward or downward. Here are a few common issues with escalator handrails. 1st, there is steel wire going through the surface or sliding layer of the handrail, which is the most dangerous case in the field failure of the handrail, because it means that the steel wire inside the handrail has probably broken. 2nd, escalator handrail can be pulled out easily from guide rail; it is the phenomenon that the lip of escalator handrail greatens. There have been two reported incidents in which passengers had their fingers stuck between the lip and the guide, so they were cut off. 3rd, when the handrail is lagging during escalator works. The running speed of the handrail cannot keep up with the running speed of the stairs. This can cause the upper and lower parts of the passenger’s body to run at different speeds while holding the handrail, especially for the elderly and weak passengers who are prone to falls. 4th, the cracking of the extrusion line in the handrail will not lead to passenger risk in general, but the cracked part may still clip the fingers, so there is a certain risk. 5th, the lip of the handrail is cracked. Because passengers hold the handrail when riding the escalator, even if the lip of the handrail is cracked, it is generally closed during this journey. And the lip mouth of handrail is cracked won’t expand the position above the extrusion line of handrail commonly, because this won’t cause the safety problem of passenger commonly. 6th, the small crack on the surface of the handrail is generally caused by the aging and cracking of the handrail. The crack will not affect passengers’ safety. But if left unattended for a long time, the small cracks will expand and may cause even greater cracking, causing operational issues in the banisters. 7th, The surface of the handrail is bulging just because the inner material of the handrail is delaminated, bulge generally do not cause operational and safety issues with the handrail, but it is inappropriate to ignore them. 8th, the escalator handrail surface appears small bubble, because be polluted by oil commonly, There will be no impact on the operation and safety of the handrail. When do replacement for handrail of escalator, please do not forget to stop the escalator, turn off the power, put up a safety warning sign and remove the tensioning connecting screw to keep body safe. 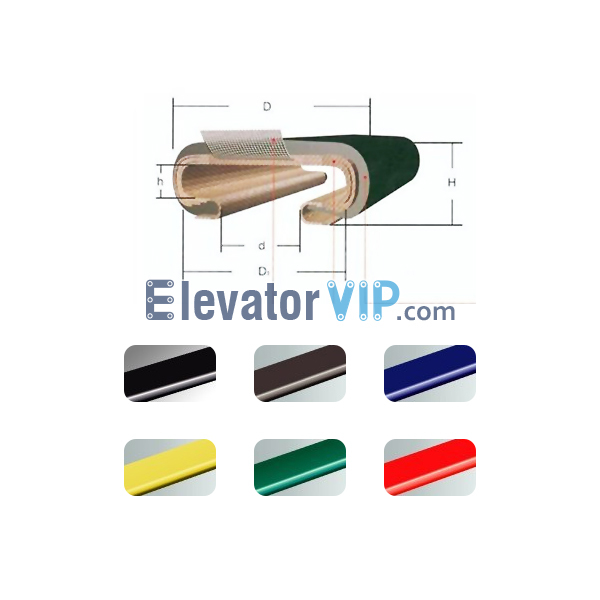 Posted in Technology and tagged bulging on the elevator handrail surface, common problems with elevator handrails, elevator handrail cracking of the extrusion line, elevator handrail cracking on the lip, elevator handrail lagging during running, elevator handrail manufacturer, elevator handrail pulled out from guide rail, elevator handrail steel wire go through out, how to replace the elevator handrail when broken, small crack on the elevator handrail surface.